MotoGP will pay tribute to 2006 champion Nicky Hayden at this weekend's race at the Circuit of the Americas. 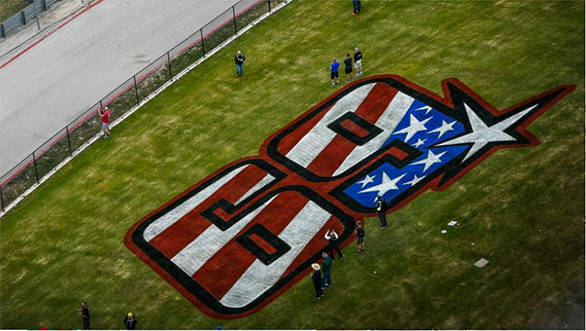 The championship will officially retire Hayden's number - 69 - from the sport. Hayden, who raced in MotoGP between the years 2003 and 2016, passed away on the 22nd of May, 2017, as a result of injuries sustained in a bicycle accident. On Friday, FIM President Jorge Viegas, as well as Dorna boss, Carmelo Ezpelata, will conduct a ceremony with Hayden's family and friends, during which the No.69 will be retired from the MotoGP class. Hayden's 2006 championship-winning Honda RC211V will also be on display at Hayden Hill at Turn 18 of the track, on Friday. The MotoGP paddock will join his family and friends at the venue. On race day, Hayden's family is meant to be present at the front of MotoGP grid with his 2006 title-winning RC211V.